At LaBell Exchange, we understand our commercial clients in Torrance seek the highest quality phone answering services at a cost-effective rate. As a seven-time recipient of the exclusive ATSI Award of Excellence, LaBell Exchange offers the best value in call center services. The ATSI award is one of the highest achievements among those in our industry as it is only given to call centers that have displayed outstanding response times, accuracy, and customer service consistently over a six-month observation period. While our telephone answering services are among the best, our prices are still among the lowest. Plans start at just $39 per billing period and are based upon usage. Plus there are no hidden fees and no long-term contracts. Since 1975, we have served businesses in Torrance and throughout the greater Southern California area. Our clientele includes property management companies, municipal water districts, legal/attorney offices, medical/dental practices, hospitals, healthcare facilities, and service companies (towing, equipment rental, bail bonds, plumbing, HVAC). We're open twenty-four hours a day, seven days a week, and are available to answer phones on your behalf at any time or day, including weekends and holidays. At LaBell Exchange, each client is assigned a designated account manager, who works with him or her to develop a custom script, determine answering service protocols, and set up the necessary phone lines and voicemail services. Our experienced phone operators all undergo intensive screening and training, and demonstrate excellent telephone answering skills. We have bilingual operators on staff, as well as access to a 24/7-translation line. LaBell Exchange also continually updates our systems to ensure that our Torrance clients have the greatest degree of flexibility in designing their phone answering and voicemail program. Our virtual receptionist and reservation/schedule management services are a highly popular and cost-effective solution for Torrance-based businesses that require a live operator to answer phones, manage calendars, transfer calls, take and forward messages, and schedule appointments. At LaBell Exchange, we tailor our telephone answering services to meet our clients' specialized needs and help them provide a greater level of customer service to their callers. These services not only are more cost effective than hiring your own part-time or full-time receptionist, but also surprisingly advantageous: With our virtual receptionist service, your Torrance business will appear well established and professional; be available as often as you want to be; and avoid having dealing with lack of coverage when your receptionist goes to lunch or is sick. We provide survey and information screening services as part of our call center package for Torrance-based clients. In business since 1975, LaBell Exchange is highly experienced in handling all kinds of phone answering accounts and designed them for a diverse array of industries and clientele. Some of our information screening projects includes pre-screening job applicants for HR departments; determining customer eligibility for product recalls; and assisting attorneys on class action lawsuits. In these calls, we ask the caller a series of questions before determining whether to take a message or forward them on to a company representative. Similarly, we've also handled inbound calls on behalf of company's looking to know how they are doing. These over-the-phone surveys are easy to set up and highly affordable. LaBell Exchange offers inbound telemarketing and order taking services as a cost-effective solution to your business or organization in Torrance, California. Highly skilled in gathering information, taking leads, and guiding callers through orders, sign-ups, and registrations, our phone operators are also committed to treating each caller with courtesy and respect. We offer a wide range of order taking options. Some of our Torrance clients prefer we place orders directly into their organization's website or system. Other clients prefer we place and send the order from our own internal system. In that case, we'll create a custom order form (listing the product, price, payment information, and tax/shipping/handling fees). The orders can be sent to a designated department/employee or to your fulfillment center, and we can submit orders immediately after they're received, or in grouped batches. Our call center provides emergency, after hours, and full-time dispatch services for businesses and organizations based in Torrance, California. Highly regarded throughout Southern California for their phone answering skill, our telephone operators have worked extensively with callers who need urgent assistance. Our goal in these situations is to treat the caller with sensitivity and compassion, while also ensuring that needed information is extracted from the caller so that the appropriate party can be dispatched for immediate assistance. 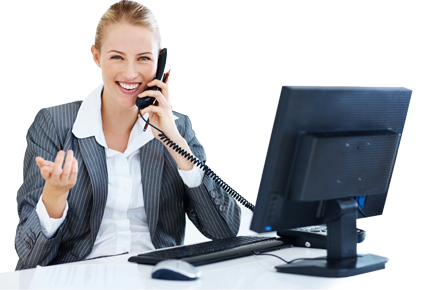 We work extensively with each client to establish a phone answering protocol that meets the needs of your particular organization. Our phone operators have dispatched everything from EMTs to tow trucks, as well as acted as a first line response time during emergencies or other special situations. Each of our Torrance-based clients is provided with a unique voicemail account. This account can be personalized with voicemail trees, special greetings, voicemail trees, and secure access passwords. Your voicemail messages are available to be retrieved at any time and from any location. You can also setup your account to receive notifications or forward messages via text message, phone, or email. For almost forty years, LaBell Exchange has provided businesses in Torrance, California, with the highest level of call center customer service. We've been presented with the Association of TeleServices International's prestigious Award of Excellence for our outstanding response time, accuracy, and overall telephone answering service for seven consecutive years. Whether your Torrance-based company is in the medical, legal, dental, municipal, property management, or service industry, our call center is committed to providing you and your customers with both a professional and personalized phone answering experience. 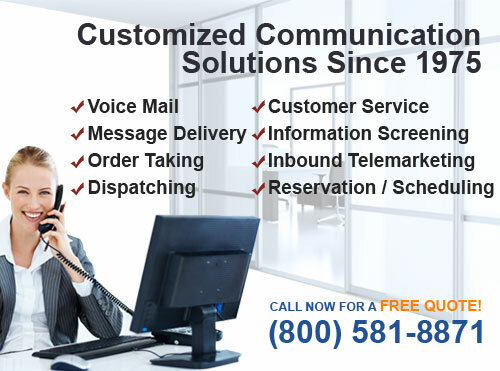 At LaBell Exchange, our professional phone operators are highly skilled in providing message taking and advanced message delivery services for our Torrance clients. Our operators undergo extensive screening and training, and work with callers to gather information and type messages both quickly and accurately. Our call center can deliver your messages via email, fax, text message, or phone. We can also include dispatching services into your call center account, as well as keep callers on the line during crisis situations when immediate contact with an emergency contact is required. 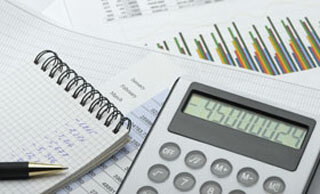 To learn more on how LaBell Exchange can improve your company in Torrance, call us today. Our company is committed to treating each caller with courtesy and respect.